What Makes A Crown Look Natural? At one time, all restorations were made using metal materials. However, we now offer Woodland Hills, CA, residents restorations that blend with your smile. Using lifelike materials, we help repair your smile and address a variety of cosmetic and restorative issues. What makes crowns look so natural? How do we create them? We use a variety of materials to create a natural looking dental crown. For the front facing teeth, we may use all-porcelain. With porcelain, we create a restoration that contains stain-resistant properties, as well as strength and durability. We also shade the maternal to better match your surrounding teeth. However, the side and rear teeth must endure greater pressure, such as more serious bite forces. A porcelain crown may not be enough to restore them. Fortunately, we may prescribe a porcelain-fused-to-metal option, which offers the strength of a metal crown but the lifelike appearance of an all-porcelain one. We may also use zirconia, a very strong material that again blends with your smile. Following treatment, no should be able to tell your teeth have been repaired! 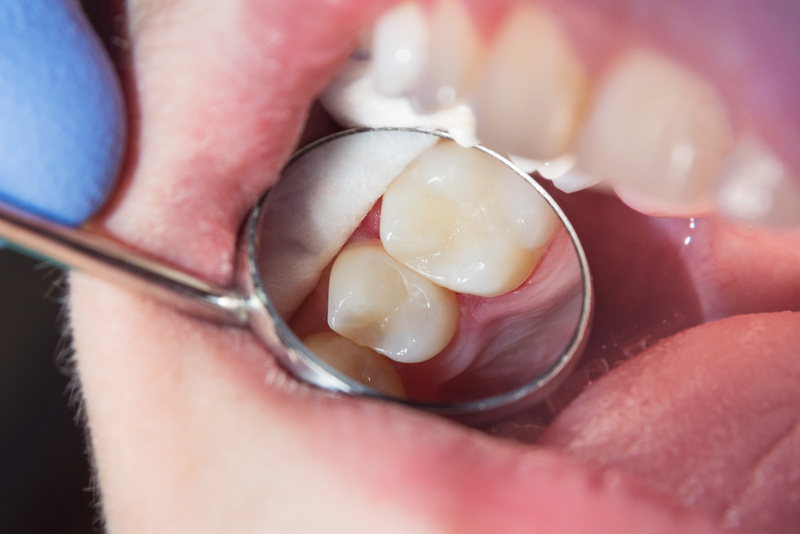 We begin treatment by removing a thin layer of enamel. We take detailed impressions, which will be used to create the finished restoration. You may wear a temporary in between visits. Once complete, you return to the office so we can place the final one. Once placed, we can address a variety of cosmetic and restorative issues. For example, we can mask permanent teeth stains, rehsape malformed teeth, or close gaps between the teeth. We also have a chance to repair advanced tooth decay, dental infections, and correct any chips or cracks. For those with missing teeth, we may even be able to anchor a dental bridge in place or restore a single tooth dental implant. Following placement, how do you keep your newly repaired smile strong and healthy? In order to preserve your restoration, we suggest brushing and flossing daily, without exception. You should also cut back on sugary foods and drinks and avoid smoking. Seeing us every six months enables our team to monitor your smile and offer a cleaning, which removes all plaque buildup from your smile and helps prevent everything from cavities to periodontal disease. If you have any questions about our smile repair options, please contact your Woodland Hills dentist today. Our custom-made crowns help repair chipped teeth and improve your smile. Schedule a consultation to discuss the benefits of restorative dentistry by calling Woodland Hills Dental Arts in Woodland Hills, CA, today at (818) 347-5124. We also proudly work with patients from Thousand Oaks, Westlake, Encino, Sherman Oaks, and all other surrounding areas. How Do You Create Fillings That Match Your Smile? Will Dental Implants Support A Bridge Or Denture? © 2019 Woodlandhills Dental Arts. All Rights Reserved.